In 1920, an unknown man appeared in Europe having lived through some extraordinary experiences in the East. His name was George Ivanovitch Gurdjieff. Meetings with Remarkable Men is the story of his early years. It is the second volume of the All and Everything trilogy, as well as Gurdjieff's personal autobiography, originally published in 1963. The book takes the form of Gurdjieff's reminiscences about various "remarkable men" that he has met, beginning with his father. They include the Armenian priest Pogossian; his friend Soloviev, Prince Lubovedsky, a Russian prince with metaphysical interests, and a couple of others. 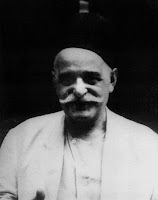 In the course of describing these characters, Gurdjieff weaves their stories into the story of his own travels, and also into an overarching narrative which has them cooperate in locating spiritual texts and/or masters in various lands (mostly Central Asia). Gurdjieff calls this group the "Seekers of Truth". Gurdjieff's referring to Sufis by the term "Seekers of Truth" is much more authentic in a sense because sufism is a terrible misnomer for it has this '-ism' in it. Thus talking about sufis as "Seekers of Truth" as the object of search is not any "-ism" but search of Truth Itself - is a great testimony how well Gurdjieff understood and internalized the way of the sufis, the way of the Truth. The book was made into a 1979 feature film directed by Peter Brook. The film shot on location in the forbidding, rarely photographed mountains and deserts in Afghanistan. The story involves Gurdjieff and his companions' search for truth in a series of dialogues and vignettes, much as in the book. Unlike the book, these result in a definite climax- Gurdjieff's initiation into the mysterious Sarmoung Brotherhood. The film is noteworthy for making public some glimpses of the "Gurdjieff movements". Google Video has the whole movie as single video.